Sri Lanka batsman Kusal Perera will miss the remainder of the one-day international series against South Africa due to a hamstring injury. Kusal did the damage while fielding in the Proteas' series-clinching victory in Durban on Sunday. 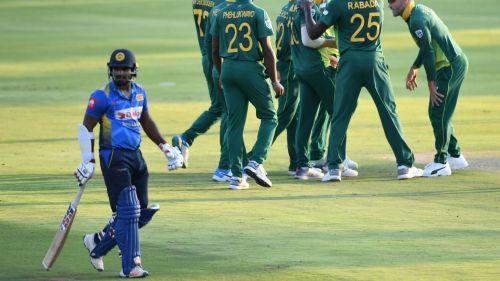 Cricket Sri Lanka on Monday announced that Kusal will not feature in the fourth and fifth matches as the tourists attempt to avoid a whitewash. Kusal, who has been sidelined by hamstring injuries on two previous occasions, will not be replaced in the squad. The 28-year-old did not bat as Sri Lanka slumped to a 71-run Duckworth–Lewis–Stern loss in the third ODI.